If you were unsure about the PPC (pay per click) model for campaigns in Google, you will be happy to know they have recently launch a Commission Based Model (Google Commission Program). Technically it works in the same way as the PPC and so the client will be able to find your property through any of the Google Services: Google Universal, Google Maps, Google Plus to make a reservation on your WuBook Booking Engine. The difference is that you will only have to pay for “complete” reservations rather than having to pay, as it was with the PC model, as soon as someone clicked to open the booking engine. Click on Configure and request the subscription with the button at the end of the page. it can take up to 2 weeks for your property to be bookable on Google. For now, commissions are based on a 12% level and, in future we are hoping to be able to add higher commission levels for more aggresive campaigns. If you had the PPC model active, you need to know that, by enabling the new commission model, the previous will get deactivated automatically and the new model has to be active for at least 2 months before you could disable it. There´s a note about this on the description of this Fount. Commission for cancelled reservations will be deleted and not charged for. 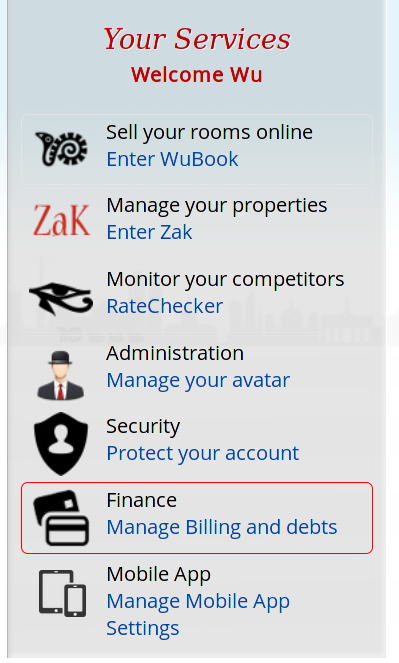 With this new fount, WuBook opens a new door to the management of Costs per Acquisition and substitutes Coins (WuBook virtual money) as a method of payment with “debit”, a simpler tool that will allow you to clearly understand your pending transactions and to simplify the way payments are done with credit card. 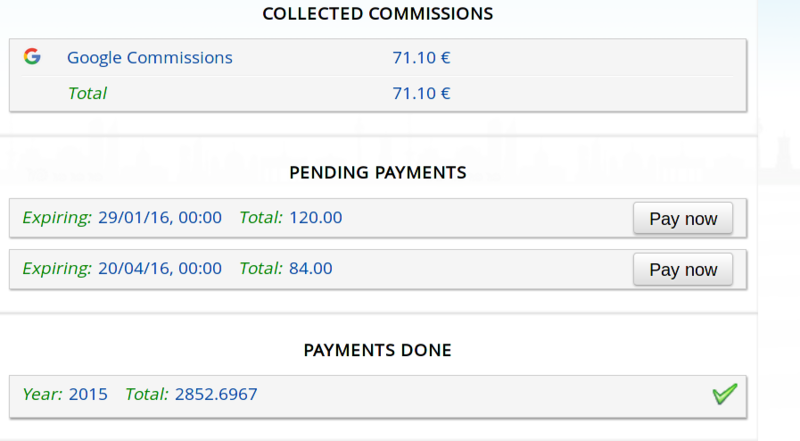 “Collected Commission”: charges received from the different services. “Payments Done”: a list of all settled transactions broken per year. “Pending Payment” section and when this happens WuBook will send you an email notification. Another new feature is that of viewing the partial atribution section and the history of the origin of the visit registered to each reservation. You can see a double icon in typical cases in which someone opens your booking engine through a Google Service without making a reservation and, a few minutes after continues with the reservation process but this time directly on your booking engine without going through Google again. In these cases, the client has found you in the Fount but has made the reservation on WuBook – registering on both parts and generating a partial atribution status. This attribution is important not only to know whom to assign the reservation to but also to understand what channels visitors are using to get to your property and we will keep this information as transparent as possible. That´s it for now. We wish you loads of new reservations and we will be in touch again soon with new upgrades to the system. Booking Engine, News, Tricks and Suggestions, WuBook, WuBook Fount. permalink.